The physical installation of my thesis was seen by students, professors, professionals and a wide range of community members. 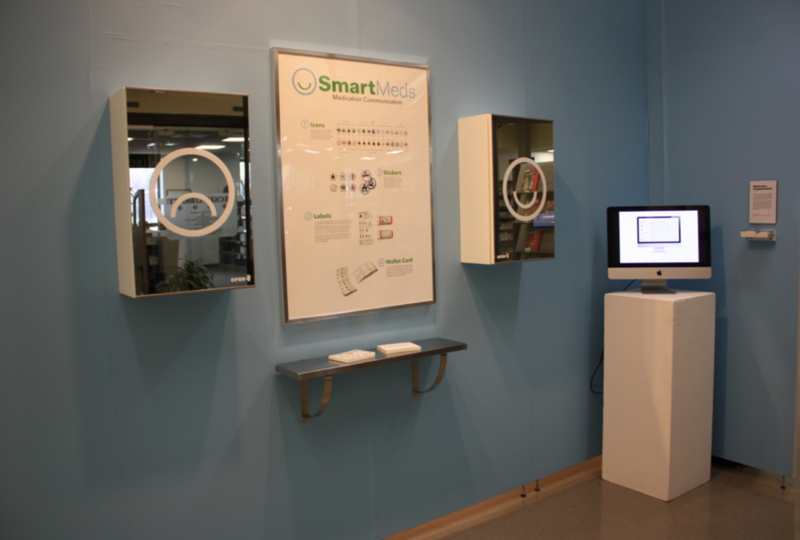 Mirrored cabinets, one with a frowning face which contained traditional, poorly designed, confusing pill bottle labels, was juxtaposed against another with a smiling face which contained redesigned pill bottle labels using the SmartMeds visual language. 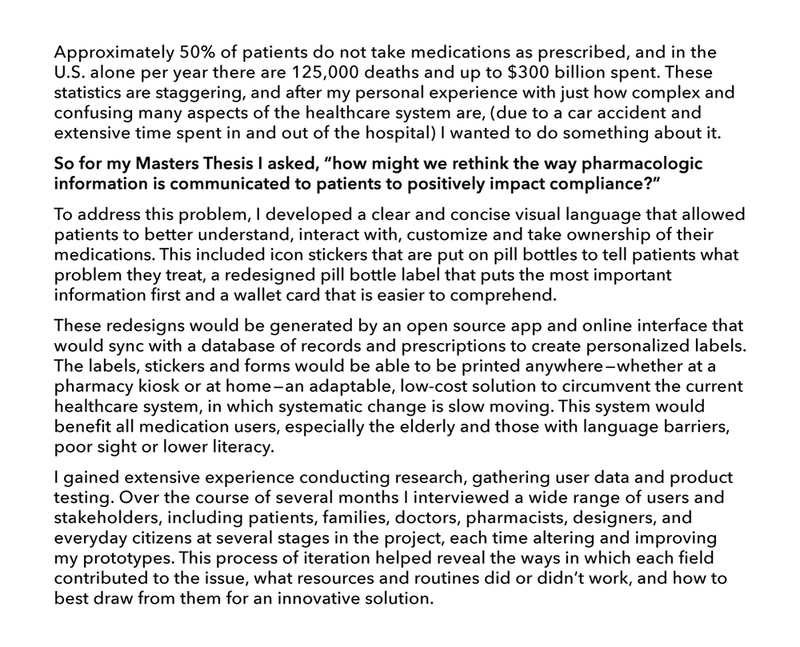 A video looped on the computer showing how the digital platform would work: doctors would input their patient's information on a tablet device which would be accessible to patients on their online account, where they could customize and print redesigned stickers, pill bottle labels and other forms to apply to their medicine containers. 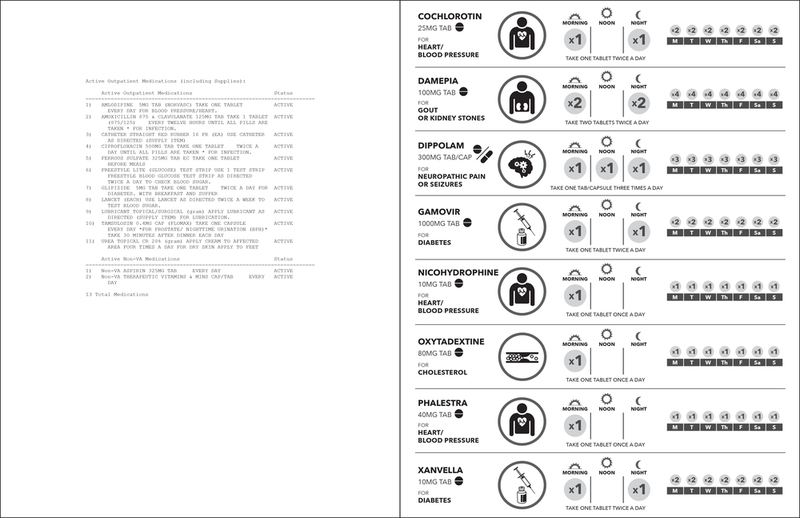 A mixture of color coded icons depicting what different medications are treating. Color coded icons broken down their categories. 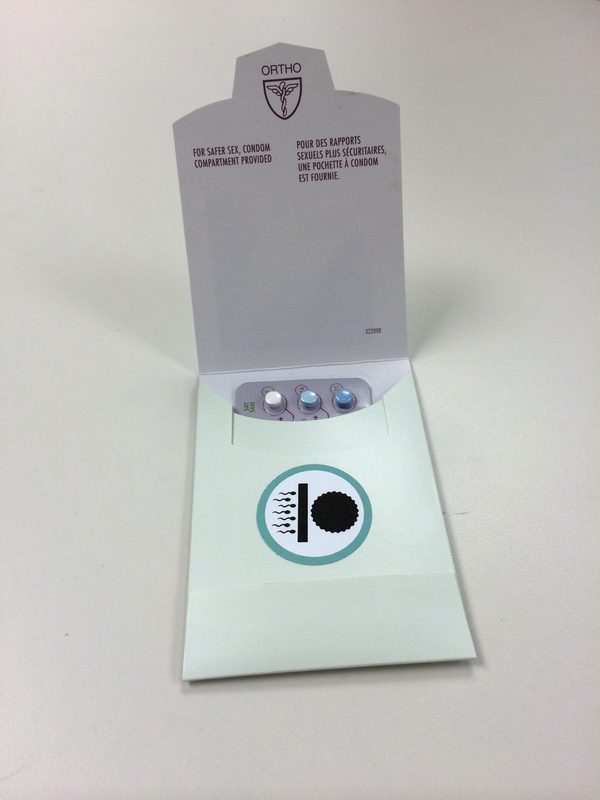 One side of the wallet card includes the medications, the dose, generic and brand names, (though they are fake names) what the medications are for, and when to take them. 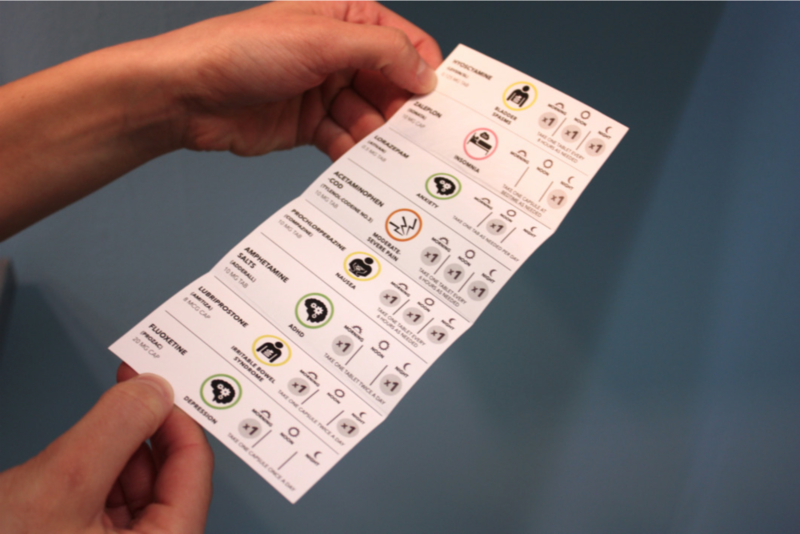 The reverse side has the patient's essential information. You can see it as a blank form and how it would look filled out. Left: Example of original medication list handed out to patients in the Veteran Affairs Medical Center. Right: Redesigned list that complies with their limitations-letter sized and black and white. Currently being tested.